A lot has been discussed and studied on a bid to understand the most important question - Does light have any effects on human beings? Light can be categorized into two shades, one being natural: produced by sun while the other is artificial light originating from an electronic display or device. This article brings one close to both the phenomena of how natural and artificial light can positively and unfortunately negatively affect our human cells and hence our health. 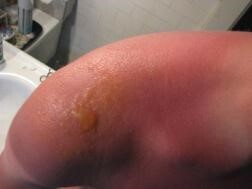 It goes from sun’s radiation to tan our body for good and on the other hand its ability to cause sunburn. We also discuss how sunlight radiation acts as a catalyst to produce Vitamin D2. 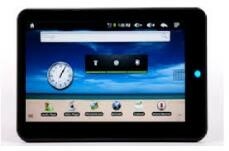 Moving along, the discussion leads to the way how artificial light, let it be from a tablet, laptop, mobiles, TV or any other light source (eg. 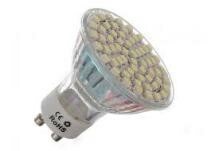 LED or fluorescent lamps) has caused to the change in dynamism of human body’s cell. It talks about affecting the release of an important hormone known as melatonin from our pineal gland which is responsible to make human body realize that it’s time to sleep; eventually leading to a disturbed circadian rhythm (body clock) and hence depression and lack of sleep at nights, especially observed in teens. • Vitamin D8 (aka chole-calciferol) is formed when ultraviolet radiation of sun is absorbed by 7-dehydrocholestrerol. • Vitamin D2 on the other hand is produced by the consumption of milk and other foods in which ergosterol; a natural plant sterol is converted to vitamin D2 on the exposure of ultraviolet radiation coming from direct sunrays. The effects of light on mammalian tissue can be digressed as direct or indirect, depends on the immediate cause like photo chemical reaction within the tissue or a neurological signal generation by photoreceptor cell present in the skin. When the effect is direct, the molecule may or may not be one that absorbs the photon. For example, certain molecules can act as “photosensitizers”: when the molecules are raised to higher state of energy, it catalyze the oxidization of other compounds before coming to the ground state. Photosensitizers in human body include constituents of food, drugs and toxins produced in excess by some disease. It has to be taken into consideration that visible light has been able to penetrate mammalian tissue to a considerable depth. Study shows than light has been detected reaching the brain of living sheep. The indirect response of a tissue involves not from the absorption of photon from the tissue cells but from the chemical signals released by neurons (brain) or hormones (pituitary gland). For example a “photoreceptor” transduces the incident light energy to a neural signal, which is transmitted over neural, neural-endocrine pathway to tissue where the effect is expected. 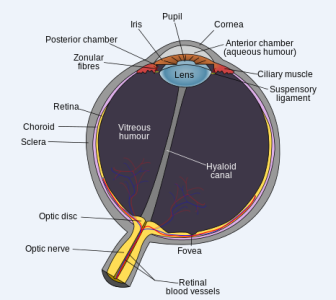 An example would be contraction/relaxation of pupil by Iris muscle (sphincter pupillae to be precise) and hence controlling the amount of light entering inside the pupil according to light present in the ambience as shown in fig 1. Another example is a study conducted on female rats: When they were kept continuously exposed to light, photoreceptive cells in their retina releases neurotransmitters, leading to secretion of a Gonadotropic hormone that accelerates maturation of ovaries. Natural sunlight acts directly on the cells of skin; they have either pathological or protective effects. 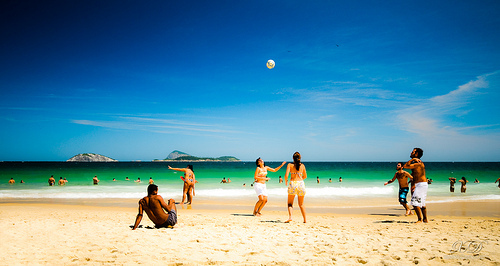 The most common pathological effect is the sunburn, while protective is famously known as tanning. Inflammatory reaction taking place in presence of ultraviolet radiation (from 290 to 320 nm) in exposed light, causes direct reaction of ultraviolet photons on small blood vessels and capillaries leaving them damage and reddening of skin, swelling and pain (Fig 2). Sunburn seems to be the affliction of industrial civilization. If people were exposed to mild sunlight for a couple of hours every day, their skin cells will lead to production of protective layer of pigmentation for withstanding ultraviolet radiation (which happens mostly in winters) also know as tanning (Fig3). It is tacit that the role of light is majorly for the purpose of illumination for working and reading purpose. It’s also observed that the artificial light available in the office (~100 foot candles) at eye level is only around 10 percent of the light available in the shade of a tree on a sunny day. The decision of using 100 foot candles artificial light is more of a technology decision rather than understanding the real biological needs of human beings. In comparison, the amount of light we are exposed for 16 hours in office is equivalent to 1 hour of expose to a sunny day. So if in the future we come up with a study which states the need of higher amount of exposure of light for better bone mineralization, then the society will have a hard time making a decision on it! Melatonin is a hormone secreted from pineal gland; when human body is under dark environmental condition such as our bedroom at night. It gives the signal to the brain and hence to whole of the body that it’s time to rest. 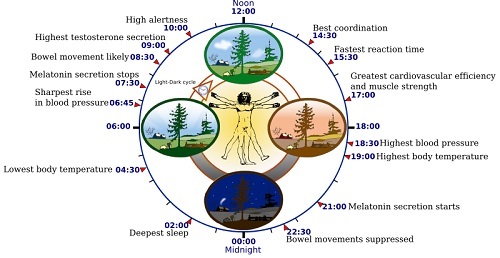 American Medical Association (AMA) came out with a study which concluded the effect of change of exposure to light leading to imbalance in circadian rhythm of human biological clock (Fig 4). It was said that "There is no question that lighting suppresses circadian rhythms". It was suggested that women working overnight under the presence of artificial light can lead to higher risk of breast cancer, heart disease and other health problems. It was recommended that night shift workers should be undergone with "employee fatigue risk management plan". "The natural 24 hour cycle of light and dark helps maintain alignment of circadian biological rhythms along with basic processes that help our bodies to function normally" Dr. Alexander Ding, an AMA board member had to say. The electric light present now for the past 150 years may have disturbed the natural rhythms resulting in the hormone and melatonin levels to be disrupted, which may have eventually lead to breast cancer. In a 2 year study by S.L. Gabby (1961), it was determined that 98% of males and females C3H mice (who are highly prone to tumour development) normally develop breast carcinoma under the exposure of fluorescent light. Another pilot study by J.N. Ott (1982) using the same C3H mice concluded the link between light and mortality rate due to spontaneous tumour development. More than 2,000 C3H mice were used in this experiment. A study by Lancet of 274 women, concluded that women are more at risk and prone to malignant melanoma (tumor of melanocytes) who work in office environment under the exposure of fluorescent light as compared to the others who work outdoor or other than the office environment. Though the study related to animals has to be handled very carefully before coming to a concrete conclusion, but we can atleast admit the relation between electromagnetic radiations and biological process. There are two major challenges in the usage of LED’s: one it comprises more towards the lower wavelength (i.e. blue) and hence higher frequency and energy, while second it causes glare. A recent study by ANSES, a French Agency of health and safety concluded that the blue light causes a photochemical risk to eye and harmful effects to retina. As the source of LED is concentrated towards a point source, the luminance level of each individual LED can be around 1000 times more than the comfort level. So it was recommended to use a layer of diffuser or optics so the direct radiation from LED could be avoided. A new study conducted by researchers at Lighting Research Centre (LRC) at Rensselaer Polytechnic Institute (RPI) concluded the use of backlit powered electronic display causing melatonin suppression which leads to delayed bedtimes, especially in teens. The study lead by Mariana Figueiro showed that two hour exposure to light from self luminous electronics displays suppresses melatonic by around 22%. This brings us to the conclusion of the article. It would be agreed until now, or atleast accept the relationship between electromagnetic radiation and human cells. This article portrayed a little towards how it more or less affects human beings. There has been numerous ways, how radiation also helps in diagnosing and treating through crucial medical techniques as discussed by our earlier articles “Use of LEDs in Endoscopy & Laparoscopy” and “All in one smart Opto-medical device”.